2018 is the ten-year anniversary of the Marvel Cinematic Universe, and so far Marvel’s been celebrating in style. Black Panther has been an unprecedented box office success, outgrossing The Avengers. Excitement is at fever-pitch for Avengers: Infinity War, which is setting records for pre-release ticket sales. 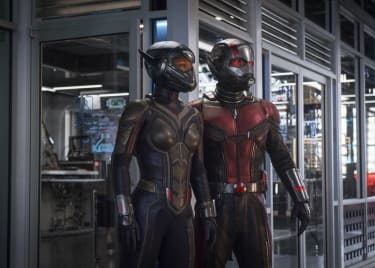 And even as the dust settles from Infinity War, Marvel will move on to their third film of the year: Ant-Man & the Wasp. 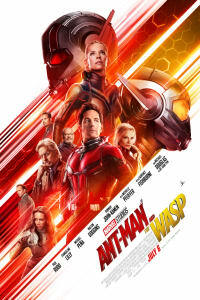 Set after the events of Captain America: Civil War, this film will see Paul Rudd suit up again as Ant-Man. 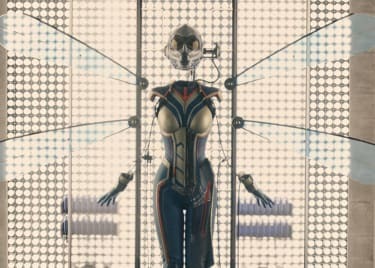 This time, he has a size-changing ally – don’t call her a sidekick – in Evangeline Lilly’s character Hope Pym. The film will introduce more characters to the MCU as well. And one of the most intriguing is a character named Jimmy Woo. Jimmy Woo is actually one of Marvel’s oldest characters, created by Al Feldstein and Joe Maneely back in 1956. That means Woo predates the Marvel Comics brand; back then, Marvel still operated under the name “Atlas Comics.” This was before superhero comics became standard. Woo was as a spy who faced off against a “yellow peril” Communist mandarin. The comic failed to find an audience and didn’t last long; a decade later, Marvel brought Woo into its mainstream continuity as an agent of S.H.I.E.L.D.. Comic writers never forgot Woo. In 2006, Jeff Parker and Leonard Kirk launched a new series called Agents of Atlas. This brought together a number of old Atlas Comics characters into a super-team, led by Woo. Marvel revealed the group had been formed by Woo when his old adversary, the Yellow Claw, kidnapped President Eisenhower. It was ultimately revealed that Yellow Claw had been testing Woo out, seeing whether or not he was worthy to take command of the criminal Atlas Foundation. Believing Atlas could be a force for good under his leadership, Woo agreed. He and his fellow heroes became literal agents of Atlas, only appearing on the world stage when S.H.I.E.L.D. was taken over by Norman Osborn. What Role Could Jimmy Woo Play In ‘Ant-Man & the Wasp’? 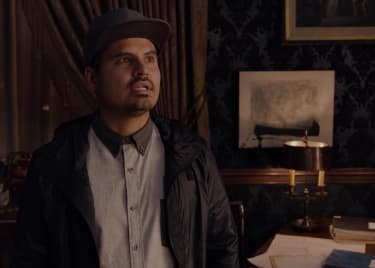 Randall Park has been cast to play Jimmy Woo in Ant-Man & the Wasp, but it’s unclear what role he’ll play in the film. He seems to be associated with the FBI, which are searching for the Pyms. It’s doubtful that Woo will still be working with S.H.I.E.L.D.. While the organization has been relaunched in Marvel’s Agents of S.H.I.E.L.D., Marvel Studios has been hesitant to create explicit ties between the movies and the TV shows. They know most moviegoers will have only watched the films, and will only be aware S.H.I.E.L.D. was disbanded in Captain America: The Winter Soldier. If Woo is connected to S.H.I.E.L.D. at all, it’s likely to be as a former agent. But there’s another, darker possibility. Since 2006, Woo has walked the line between light and dark. S.H.I.E.L.D. may be gone, but the first Ant-Man film revealed that Hydra wanted the Pym Particles. Concept art has even shown Marvel considered bringing back Captain America baddie Arnim Zola, his mind now in an android body. Woo could easily have been reimagined as an ex-S.H.I.E.L.D. agent who still has ties to Hydra, and he could easily have an agenda all of his own. Whatever the truth may be, the inclusion of Jimmy Woo will leave fans delighted. This is one of Marvel’s oldest characters, and as always Marvel have cast a skilled actor for the role.